The ToeSox socks feature a patented grip to avoid slipping and ensure better circulation, balance and posture by strengthening the muscles of your feet. They are perfect for yoga, Pilates, dance, martial arts and any other barefoot activity. These full toe knee high socks keep the feet warm and increase dexterity, tactile sensitivity and awareness during training sessions. Additionally, the socks are produced from organic cotton and machine washable. Wash inside out in gentle cycle. Line dry or low heat in dryer. Do not bleach or iron! for submitting product information about ToeSox Full Toe Knee High Grip Socks We aim to answer all questions within 2-3 days. 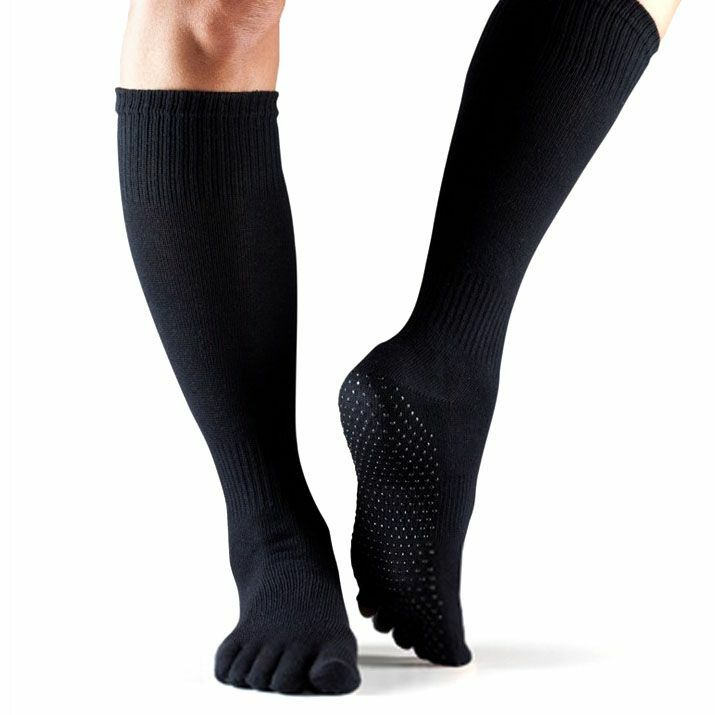 for submitting product information about ToeSox Full Toe Knee High Grip Socks. We aim to answer all questions within 2-3 days. If you provided your name and email address, we will email you as soon as the answer is published. for submitting product review about ToeSox Full Toe Knee High Grip Socks.